Some 144 155 victims of MSU Sports Medicine doctor Lawrence Gerard Nassar are making victim impact statements at his sentencing hearing in the Ingham County Circuit Court. From the tenor of their coverage, our depraved media are – for once – siding with the victims of crime rather than the criminals. Kiddie diddling is probably the last moral taboo acknowledged across our entire society. What our media has not mentioned is the cost of Dr. Nassar’s crimes and who is going to pay for them. MSU is now facing over 140 civil lawsuits, along with the U.S. Olympic Committee, USA Gymnastics, and Dr. Nassar. Just one such suit has been settled, by USA Gymnastics, reportedly for upwards of $ 1.25 million. Its particulars are concealed from the public by a Non Disclosure Agreement, a legal device made famous by Harvey Weinstein’s defense lawyers. The plaintiff in the settled suit, McKayla Maroney, still has a lawsuit pending against the U.S. Olympic Committee, USA Gymnastics, Michigan State University and Dr. Nassar. Dr. Nassar is the only defendant who will not pay much. His few remaining assets after paying off his lawyers will almost certainly be shielded when his wife divorces him. This fund is ridiculously inadequate. MSU management must think that USOC and USAG will bear the brunt of the Nassar settlements, or their hot shot lawyer Patrick Fitzgerald’s sovereign immunity defense will work. MSU has not one, but two, high dollar white shoe law firms lined up to attack Dr. Nassar’s victims. They won’t succeed. Dr. Nassar was an MSU employee. 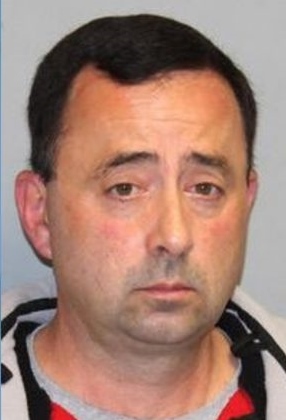 USOC and USAG made referrals to Dr. Nassar, but MSU was his employer and should have been providing proper supervision. They didn’t. Each of those lawsuits against MSU will settle out for $ 1 million or more. McKayla Maroney’s first settlement sets the standard. And the antics of MSU’s Board members should provide the plaintiffs with healthy increments in their final settlements. Those white shoe lawyers need to have a talk with their idiot clients. MSU’s endowment fund rocketed up to $ 3 billion during the period of Dr. Nassar’s depredations, telling you exactly where MSU’s management focus was – and where it was not. But it is quite unlikely that MSU will pay off Dr. Nassar’s victims from the endowment. Much of the endowment is earmarked and the remainder, well we are talking academic finance and politics here. The alumni who have contributed to the MSU endowment will not be pleased if their donations are used to pay off the victims. No bronze plaques with donor names on them will proudly grace the Nassar settlements. MSU’s General Fund budget is around $ 1,362 million, so the Nassar lawsuit settlements will cost them around 15% of a year’s budget. The settlements are not going to be paid out of the MSU General Fund. Socialism is not just the core philosophy of university politics, it is also their ironclad economic doctrine. No, MSU will boost tuition and hit up the Legislature. Michigan State University’s annual tuition for undergrads was $14,062 per year for in-state residents in 2016, more than double the national average public four year tuition of $6,841. Given that demographics are now reducing the college age population, MSU will come to the Legislature hat in hand. MSU students are now so tapped out that the university has organized a food bank to prevent student starvation. 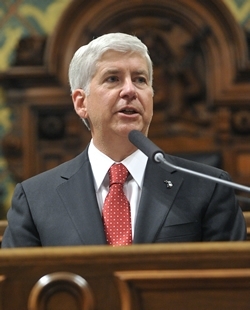 Corruption and incompetence have become the paradigm of Michigan government institutions. Collapsing sewer interceptors, towing and garbage contract bribery, school embezzlement, no bid home demolition contracts, and concealed p. Legionella outbreaks are daily staples in the Michigan news. Somehow Governor Snyder neglected these core values of government employees in Michigan during his last State of the State address. But he certainly did mention a boost in education funding and deftly prepared our State for the tax increases to come. You were being warmed up for the coming $ 180 million hit. Pucker up. Speaking of Spartan alumni... can you imagine the hit taxpayers will take if virtue sniveling cuck Calley were somehow to be elected governor with his manjaw wife sitting in the legislature? Although this is the same body who felt that it was an appropriate use of public money to not only bailout the entire City of Detroit, bailout Detroit Public Schools and go balls-out, full bat guano insane "investing" public money to bribe incentivize businesses to come to Michigan...so anything is conceivably possible at this point. 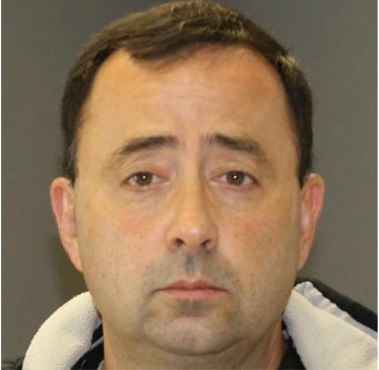 Dr. Nassar's career as a child molester is over and the lawsuits have already been filed. Anything the Legislature does now is ex post facto. Many of the Nassar lawsuits will be heard by Federal Courts and state courts outside of Michigan where Michigan laws will receive little deference. Article VIII, Section 4 of the 1963 Michigan Constitution forces the Legislature to fund Michigan State University, regardless of how its elected Board of Trustees spends those funds. The only constitutional responsibility the MSU Board has to the Legislature is to provide an annual accounting. Finally, MSU is an actual defendant in these lawsuits, not merely funding Nassar's defense or paying out settlements against him. The lawsuits include MSU specifically for their failure to properly supervise Dr. Nasser, not because MSU committed a sexual offense. Even Michigan courts will reject an attempt by the Legislature to shift MSU's liability to the other defendants (USOC, USAG, and some others) since joint and several liability will apply here. This legal aftermath is going to be painful and expensive. I forwarded that question to my rep. I'm curious to hear what the word is from up high. Since MSU has very deep pockets already, and could easily afford to give her a golden ticket after her pathetic resignation letter, they'll have a hard time claiming poverty when they're hitting up the Capitol Critters for more appropriations. To the 14 or so folks on MSU staff who received complaints on Nasser pre-dating 2014, criminal charges should be forthcoming. No excuses. And why wasn't there a nurse or advocate in the room for these athletes? As a medical advocate, AT NO TIME SHOULD ANYONE GO TO A DOCTOR'S OFFICE ALONE. This is first rule.